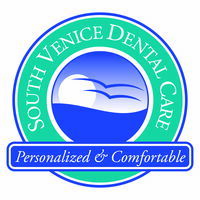 PerioChip is a treatment offered at South Venice Dental Care, which serves as an adjunct to periodontal scaling and root planing. It is a small, thin antiseptic and biodegradable wafer made up of 2.5mg Chlorhexidine Gluconate (the same solution as Peridex mouthrinse, but more highly concentrated). 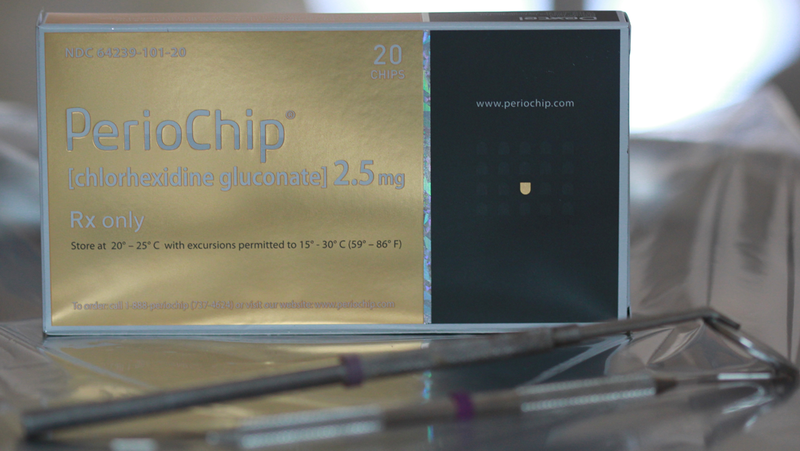 PerioChip is indicated for periodontal pockets of 5mm or more, and can be placed during your visit to the office. It has been shown to kill bacteria found in these deeper pockets, and may be placed every three months to decrease signs of infection such as swelling and inflammation, and ultimately to help reduce pocket depths between your teeth and gums. Once PerioChip is placed, there is no need to return to the office for removal- it forms a gel-like substance in your periodontal pocket, and eventually biodegrades! It is recommended to avoid flossing in the area where it is placed for 10 days (avoid use of waterpiks, as well! ), so as not to dislodge the chip.